Thread: Does my engine sound okay? I've gathered the 1.4L ecotec has noisy fuel injectors resulting in an audible clicking sound at idle that is completely normal based on what I've read in other threads. Idk if I'm just being paranoid, but I feel like after I just changed my spark plugs the clicking noise is more audible and I'm noticing a little more vibration coming from the vehicle (again I MAY just be paranoid, I'm new to this whole DIY thing). Would someone kindly take a look at the attached videos and tell me if the sound is normal and if the mild vibration (seen better in video 2) is normal? The videos say they're unavailable for me (maybe list it as unlisted rather than private). 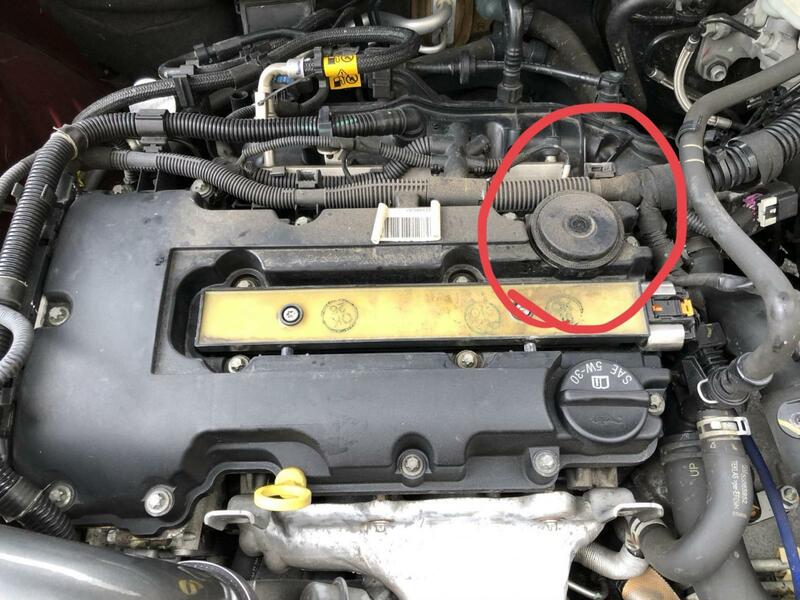 The EVAP purge valve on these cars - round canister on top of the intake manifold - has been known to make loud clacking noise and usually only has a lifespan of 3-5 years. You can try unplugging that, and if it gets much quieter, go ahead and replace it - they're about $25. I just set the videos to public! They should be viewable now. I'll look into the EVAP purge valve in the mean time. Actually, I hear what sounds to be a vacuum leak. This is the disc you’re referring to right? It feels solid, no audible hissing even with pressure. Maybe the oil cap? I think I hear something hissing...a vacuum/air leak can cause it to idle a bit weird. Idle sounds weird from my end, but it COULD be just the spark plug cover rattling. A little bit of vibration from it at idle is normal, though. Last edited by jblackburn; Today at 05:04 PM. Alignment on new Cruze - okay from factory or adjustment needed? Winter Tires - all 4 or would 2 be okay? Is it okay to hose down your engine with water?? Opinions on intake and turbo? ?